I have read and heard numerous times about how resistant humans are to change. For the most part I believe that this is true, in particular regarding really big changes. However, I am pretty pumped about the newness at the Raven. Have you tried our bread bowls yet? So good! You can order nearly all of the soups in these bad lads. I’ve had the chili in one of these, and it was amazing. Pictured here is our newest addition, the Hearty Beef Stew, which I have yet to try but am looking forward to. Another thing! Any drinking age Harry Potter fans out there? We have a new seasonal drinks menu! I am so excited about this, and not just because most of my family are huge “Potterheads”. Who doesn’t want to dress up as witches with their friends and go down to the local pub for a sweet cidery glass of Butterbeer? We can do that now!! No need to leave your little witches and wizards at home, either; we also do an non-alcoholic Butter Beer, so they won’t be left out of the festivities. I intend to try the whole menu. Not in one go, but in a more timely fashion. So far I have sampled the Butter Beer (non-alcoholic, I was driving) and the Wolfsbane Potion. Both were absolutely fabulous. And what would the month of October be without delicious treats? Our wonderful friends at Betsy’s Bakes have concocted a few confections to share with us. Yes. Those are chocolate frogs on that top shelf. My inner child is wild with glee. The frogs were crafted at Betsy’s, and our very own First Lady of the Raven Jody made the clever little wizard trading cards. We also have turnovers, cookies, and pie from the bakery. All of these menu additions are delightful, but you don’t have to take my word for it. Come in and check it out for yourself! 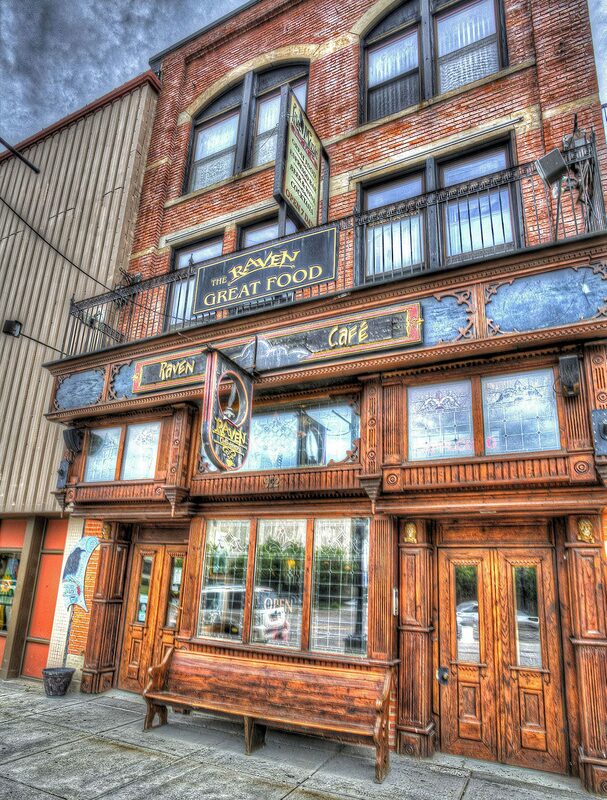 Love the Raven Cafe… it’s been our favorite in Port Huron for a long time. Great email updates. Keep them coming!